Who will win the 2017 State of Origin game 1 ? 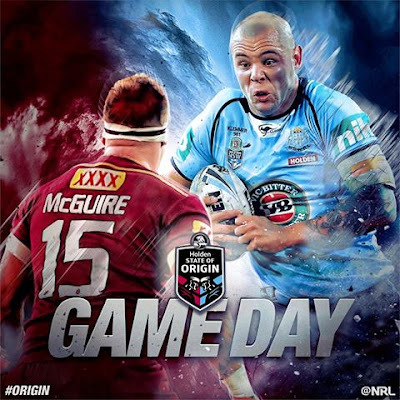 Home » Rugby league » Who will win the 2017 State of Origin game 1 ? That’s the big question as we prepare for game one but not for many years has the answer been so hotly debated. NSW have named a strong squad of in-form players and the feeling in Blues camp is 2017 is finally their year. The Maroons, on the other hand, look understrength. No Greg Inglis, no Johnathan Thurston, no Matt Scott and no Corey Parker. Not to mention the fact Kevin Walters left Billy Slater out of his side. It all makes for a tantalising battle as game one draws near. Queensland have dominated State of Origin for over a decade with 10 series wins from the last 11 years including the last two series. The Maroons have won 6 of the last 8 series openers. None of the last four series openers have topped 20 points while the last time a total surpassed 28 in a series opener was back in 2010. Make sure you miss nothing as the NRL’s most hotly-contested rivalry reignites for another year.